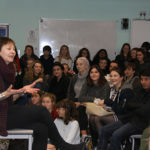 Brighton, Hove and Sussex VI Form College (BHASVIC) is reaching out to former students to try to inspire the current generation to academic success and career confidence. The college, in Dyke Road, Hove, has teamed up with the education charity Future First to harness the talents and experience of former students – alumni – to support the current cohort. 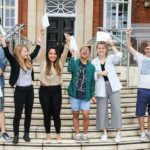 As BHASVIC appealed for former students to sign up to stay in touch, Future First said that it was working with 400 state schools and colleges in a similar way. And more than 180,000 former students nationwide have come forward so far. Some are motivating young people as career and education role models, mentors and work experience providers. Others are raising funds or taking on the responsibility of becoming a governor. BHASVIC guidance manager Nicola Twaites said: “We are delighted to be working with Future First to build on established networks from BHASVIC’s Grammar School era. “Ex-students are an invaluable resource who can come back to their old college and inspire the next generation by sharing their life experiences. Future First’s executive chair Christine Gilbert, a former Ofsted chief inspector, said: “Every state school student should have the opportunity to succeed in life after school, regardless of their background. “If students see ‘people like me’ have succeeded, they are more likely to believe they can too. They work harder and have higher expectations of success. BHASVIC hopes to hear from former students in established careers and recent leavers in further education, alumni who live near by and those who have moved away. Nicola Twaites can be contacted by email at alumni@bhasvic.ac.uk. Former students can also register with Future First by clicking the “For former students” link on the website www.futurefirst.org.uk or directly at https://networks.futurefirst.org.uk/former-student/bhasvic. Future First said that its vision was that “every state school or college should be supported by a thriving, engaged alumni community that helps it to do more for its students”.